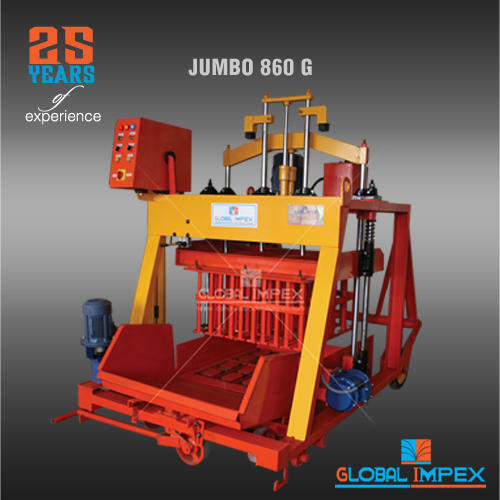 Global Impex established in the year 2003 are one of the prominent manufacturers and exporters of highly reliable range of Concrete block making machine, clay brick making machine and other construction machines and equipment. Quality engineered, our gamut has been appreciated globally.We design, develop our Hydraulic Paving Block Making Machines, Mosaic Paver Machines, Vibro Table With High Frequency Vibrators, Solid Block Making Machine, Hydraulic Construction Machines, Concrete Block Making Machine, Manual Movable Block Making Machine, Concrete Mixing Machine, Hydraulic Concrete Mixer Machine, Manual Concrete Block Making Machinery, Movable Concrete Block Making Machinery, Manual Concrete Brick Machine etc keeping the various requirements of our clients in mind, which are known for their superior performance, durability & compliance to industry standards and parameters. By regular and consistent supply of our product at most reasonable prices, we have established ourselves as a reliable player in the industry.